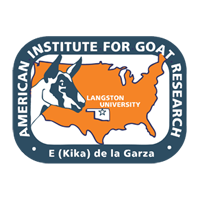 Over the past decade, the E (Kika) de la Garza American Institute for Goat Research has been involved in research, training and development projects with universities around the world. Memorandums of Understanding have been signed with universities in the People's Republic of China, The Philippines, Ethiopia, Brazil and Mexico. These memorandums of understanding have led to scientific exchanges and the conduct of various research grants. Many of the Institute's international activities focus on capacity building, agricultural development, and enhancing food security. These activities provide unique opportunities to not only increase knowledge of foreign production systems and constraints, but also to positively impact agricultural production in foreign countries and help alleviate poverty and hunger. In addition to training foreign scientists through traditional research grants, funding for international programs provides for both short- and long-term training. Examples include training of scientists from Ethiopia for periods from four to six months; a month-long training for Armenian scientists; a dairy products training workshop for Egyptian, Israeli, and Jordanian scientists; a one-week training course for scientists from the Democratic People's Republic of Korea; a month-long training for seven Iraqi scientists held in Egypt; and one- to two-week training and information visits for personnel from Malawi and Rwanda. Additionally, many other foreign government officials and scientists visit the Institute. Foreign students are also able to complete graduate programs at Langston University in conjunction with Oklahoma State University located in nearby Stillwater, Oklahoma. AIGR also partners with foreign universities in building institutional capacity through the aforementioned training and for obtaining funding for research support and expansion of institutional capacity, such as a computer laboratory established at Debub University in Ethiopia. AIGR scientists have worked with researchers, university faculty, and producers in Ethiopia, Armenia, Egypt, Israel, and Jordan to enhance goat productivity. Through grant efforts in Ethiopia, over 400 women have received goats and production training. AIGR also conducts international research grants with institutions around the world. Recent examples include research with Middle Eastern organizations and Ethiopian institutions.